POLL: What is the best day to do streams? POLL: Would you prefer completed sprite codes in display or hide boxes? I am currently OPEN to new orders! 5/19/17- A permanent Beginner's Discount has been added. We all know how hard it is to get started here on PFQ, and how confusing it can be. This is a way for those at beginner's rank or just starting up as newbies to be able to order sprites here easier too. Any priced sprites are 50% off their normal price. Happy ordering! 7/6/17- New sprites! Happy ordering! 7/29/17- BIG SALE! All priced sprites are HALF OFF until I go on hiatus 8/8! Happy ordering! 12/31/17- New accepted payment method on Spriter's Choice. I have a ton of credits right now so I'm looking for something different. Does not affect orders prior to today. 6/5/18- I am no longer offering TARDIS and Dalek sprites. New sprites to replace them coming soon! 6/21/18- ~I am no longer offering Berry Sprites. ~Please check the rules, as a new one has been added. ~Changed the payment method on Spriter's Choice (again) ~From now on, a permanent New Customer Discount has been added. For the first priced order made at this shop, it will be free of charge! Happy ordering! 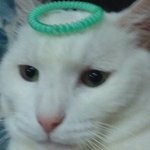 7/20/18- ~Major front post revamp! Now has a cleaner, more visually-pleasing display! ~Rules have been updated to reflect the new sprite request policy. ~Refined the "Allies" portion of the shop, however, as my banner is under construction, I will not yet be implementing the program. 11/28/18- It is almost the end of the year, so I am revealing the NEW Starry Umbreon Sprites front post for 2019 onward! Many of you mentioned, when taking a poll, that I should get a new template, and I happened to stumble upon a free-to-use one which was just what I was looking for! This artist is highly talented, and you can see their profile by clicking on the credits button at the very bottom of the post. Happy holidays! Hope you all enjoy! 12/21/18- New sprites, Substitutes and Pride Pokés, have been added! Happy ordering! 1/2/19- Welcome to a new year! I'm excited to start it with all of you by my side supporting my shop. That being said, Crystal sprites are now available in ruby, sapphire, and emerald varieties. Happy New Year and happy ordering!~ 3/3/19- Grab bags added! 1. No spamming. This includes double posting. 2. Notify me if your post is not responded to in a week. It will normally be responded to within a day if I'm online. 3. The password is andromeda. 4. Two sprites per person. 5. All PF rules apply. 6. Don't forget to subscribe! I don't want to have to chase you down. 7. Give credit when you use and don't resell my sprites, please. Putting them up for adoption is fine so long as they are not for profit. 8. Don't ask to be a helper, or beg for Galaxy Club Membership. If you earn it, I'll award the position to you. 9. No tips, please! I do this for you! The only payment I require is if I specify the sprite needs payment. 10. If you would like me to use a sprite which belongs to PFQ (ie. albinos or melans), please go here and make sure you specify that I will be making the image. These sprites are usually easy to make. They take the least time. These sprites are slightly more difficult to do than easy. They take a bit longer. Form: Kitty, I am proud! Username: Pokemon: Flag: Style: Password: Payment: Other: Available flags: Demisexual, Ace, Bi, Demiromantic, Aro, Nonbinary, Trans, Genderqueer, Genderfluid, Pan, Gay, Lesbian, Agender, and any others as well as country flags! *Please specify if you'd like style 3 in black or white. *Style 4 costs 10 GP extra. Must specify two flags on the form. These sprites are hard to do and take longer than both easy and medium sprites. Form: Kitty, my Pokemon wants to run chibi style! Username: Pokemon: Shiny? : Password: Payment: Other: *Due to high demand and very little time, there is a LIMIT to these sprites. When you order it, this can be the ONLY sprite you order. The New Customer Discount and Beginner's Discount are not valid when ordering this sprite. Thank you! *You may add a background for 5 extra gp. *Please no complicated Pokemon or 'sonas. For me the following qualifies it as complicated: bipedal/extra legs/no legs, excess hair/fur, feathers/wings. *I can do non-Pokemon OCs. I accept Pokesonas! Simply provide the sprite! 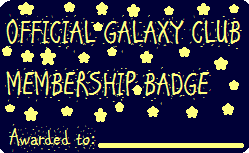 Members of the Galaxy Club have ordered 20 or more sprites from me, or are people that have great significance to me! Thanks to the extreme dedication of these members, my dream of running a shop becomes possible! If you are a member, you will get one of these certificates brandished with your name so I know when you order if you are a Galaxy Club member. These users get the following privileges: -They get all sprites I make 50% off! -They have top priority when ordering! -They can order up to 4 sprites at a time! -They can order when I'm closed via PM! I will be taking 8 orders at a time. You will be bumped down in priority if a member of the Galaxy Club orders after you and I have not yet finished your order. Avatar my pokesona Thal'io the Luxiray,drawn by Shazi Thal'io sprite by Bugmilk. I'll be right on those, should be up by later tonight or tomorrow! Sorry about all the confusion yesterday! Malaygos- For you, I decided to make a Reverse Inferno Luxray! It actually turned out pretty cool. RyokoWolf- Oh, this one was so much fun. I really hope Niet just looks like a regular Absol because I can't scratch sprites. From what the reference picture looked like, he just looks like an ordinary Absol. I really hope this satisfies, I loved making this! So! My first order from dis shop! x3333 Kitty, my Pokemon is burning up! Username: jannifarm97 Pokemon: Luxray Color: Purple column- 4th box down Reverse? (y/n): yis please x3 Password: I leik mah rootbeer floatzal xd Payment: 5,000 credits Other: Tanks! Avatar is made by CosmicDiamond! Accepted! Good to see you back!~ I'll be right on that.